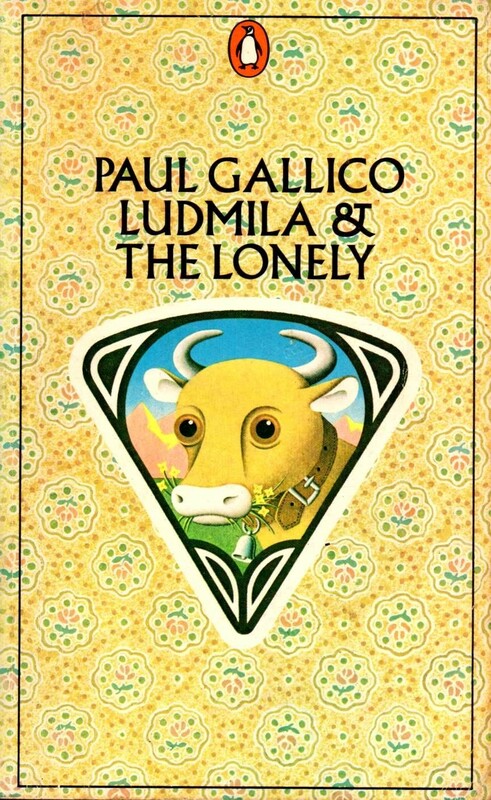 Two short novels by Paul Gallico can be found in this single volume (1978). Sometimes they have been collected with other Gallico stories, notably The Snow Goose and The Small Miracle. In his day, Gallico was very popular. The Penguin blurb states his books ‘have achieved exceptionally high sales on both sides of the Atlantic.’ Rather than use the term best-seller, which seems to underplay the author just a little. Ludmilla (1955) is barely 46 pages – including a good number of delightful black-and-white drawings by Reisie Lonette. It’s re-imagining the folklore surrounding Saint Ludmilla of Liechtenstein – set in 1823. There was a scrawny cow among the herd that pastured in the mountains, and it was referred to as The Weakling because it seemed incapable of producing milk; its owner feared it was destined to be slaughtered when the herd descended to the valley. 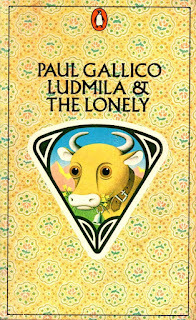 Alois the herdsman was accompanied by his youngest daughter, Ludmilla, and he instructed the girl to look after the weakling cow while he led the herd higher to richer pasture. Little Ludmilla was adventurous for her age and led the cow into a secret quite magical place… and strange things happened. A parable about belief, and the need to serve and to be loved. Told in an omniscient voice, the story has all the potential to be overly sentimental, yet isn’t quite. The religion is worn lightly, with humour. One of many stories where Gallico empathises with an animal. Jerry has been given a rest furlough for two weeks by the Flight Surgeon. His idol suggests he should spend the leave with one of the women from the base. But Jerry is reluctant: he doesn’t want to ‘dishonour’ a ‘good girl’, as opposed to the other kind. However, he is drawn to a friend who drinks and dances with him on occasion: Patches – Sgt P Graeme, WAAF. He is unaware that she is already in love with him. He asks her to go with him to Scotland – but is open enough to tell her that it would be with no strings, no attachments. A fun time. She was reluctant, but wanted to grasp even this fleeting time, and expected nothing more, though her heart would break. Jerry was brought up to ‘do the right thing’ – but did that mean to eventually return to the States and marry his fiancé – or risk all with Patches? A romantic dilemma, satisfyingly told. Gallico has been accused of sentimentality; so what? That’s what gets the heart beating, the tear ducts working. It taps into the human condition and is universal, despite what the literary critics might think. Paul Gallico died in 1976, aged 78. Michael Moorcock was born in 1939, and began writing in the 1950s and is still at it. Indefatigable, prolific and influential. Jeff Gardiner’s comprehensive appraisal of Moorcock’s writing, The Law of Chaos is one of those ‘must read’ books for any fan of Moorcock, fantasy or science fiction, and even mainstream/literary fiction. From Jerry Cornelius and the Eternal Champion fantasies to Pyat and more recent novels, The Law of Chaos is an entertaining and accessible reader’s guide that explores the life and achievements of Michael Moorcock, one of modern literature's most influential figures. All Moorcock’s works are examined and discussed in detail from early fantasies to his later philosophical novels. With an introduction and other material by Moorcock himself, The Law of Chaos travels the moonbeam roads through the enigmatic multiverse of a celebrated literary icon. Fantasy writer Angela Carter called Michael Moorcock ‘the master Storyteller of our time’ — a well-deserved title for an author who has influenced the literary world for well over fifty years. Carter, herself an avid reader of Moorcock, was keen to celebrate the importance of Moorcock’s work. In her enthusiastic review of Mother London in the Guardian, she concludes that: ‘Posterity will certainly give him that due place in the English literature of the late twentieth century which his more anaemic contemporaries grudge; indeed, he is so prolific it will probably look as though he has written most of it anyway’. Michael Moorcock is one of Britain’s greatest writers and he is possibly the most consistently experimental author in the world of fantasy literature. Not only did he practically invent modern British fantasy and reshape science fiction as an editor, but he is also an exponent of mainstream literature. While he, ironically, rejects the notion of being a genre writer, he is probably most famous for his fantasy hero Elric the albino, and for the science fiction icon of 1960s psychedelia, Jerry Cornelius. In The Encyclopaedia of Fantasy, John Clute calls Moorcock, ‘the most important UK fantasy author of the 1960s and 1970s’. This is misleading, as he continues to write prolifically into the twenty-first century and it could be argued that his later novels are amongst his best work. Clute does, however, suggest that Moorcock is ‘altogether the most significant UK author of sword and sorcery’ and it is probably for his interlinking Eternal Champion novels that he will be most widely remembered. The extent of Moorcock’s popularity is demonstrated by his worldwide following, led by an active international appreciation society, The Nomads of the Time Streams, and by the fact that his work is translated into many languages. Type his name into any search engine on the internet and you will encounter innumerable web sites that pay homage to him. What is most impressive about Michael Moorcock is that he has continued to produce novels, stories and non-fiction to such a high standard. Michael Moorcock has won two World Fantasy Awards, including one in 2000 for Lifetime Achievement; a Nebula award; the Guardian Fiction Prize; a John W. Campbell Memorial Award and even a nomination for the Whitbread Prize. He also has a collection of six British Fantasy Awards: four August Derleth Awards, one for the short story category and, of course, the 1992 Special Award for his Lifetime Achievement. In 2002 he was inducted into the Science Fiction and Fantasy Hall of Fame. Moorcock has about 100 books to his name, some of which are republished and retitled editions of earlier works, and this can prove bewildering to the uninitiated. My own attempt to bring a semblance of order to this chaos can be found in my Moorcock bibliography at the back of this book. While his books are still categorised under fantasy or SF, this doesn’t fully represent his whole oeuvre, which is perhaps better labelled as slipstream or fantastic realism. 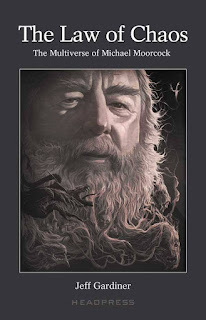 Moorcock has written about fantasy forms in literature in his book, Wizardry and Wild Romance, one of the best books about fantasy by a fantasist, and he both acknowledges and proves through his own writing that fantasy is an important and often under-valued art form. Moorcock is a protean writer, whose work transcends literary and generic boundaries; like Charles Dickens, his novels are, paradoxically, both popular and literary. His writing covers fields as far ranging as romance, heroic fantasy, science fiction, fabulation, surrealism, popular fiction, satire, allegory, fantastic realism, postmodernism, magic realism, non-fiction, rock’n’roll, comics and even cinema. His novels defy categorisation because they are greater than the limitations of the critic’s vocabulary. As a ‘literary’ writer Moorcock shows artistic ability in his myth-making and story-telling; his creation of intriguing characters; the subtle irony and ornate vocabulary; an exploitation of metaphor and allegory; and his presentation of imaginary landscapes and emotional relationships. However, his greatest desire is to be a popular author. He first came to prominence in 1964 as the editor of New Worlds magazine with his radical editorial approach that alienated many science fiction fans, but also won him great respect as a writer of vision whose vocabulary and ideas were second to none. His own early stories best exemplify his desire to experiment with structures, themes and language. It was in these early stories that he began to develop the symbolism and subjects that continue to dominate his later writings. Michael Moorcock is incredibly prolific and what causes the most confusion is the interlinking nature of all his novels. 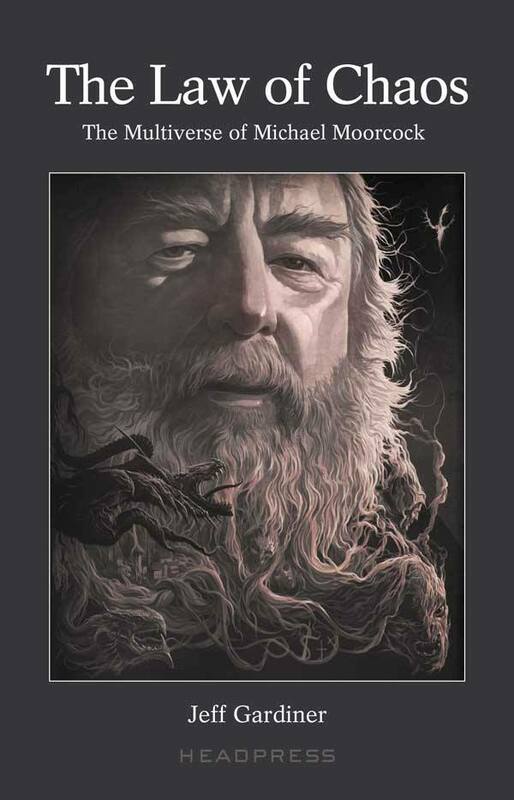 Most of his books fit into a particular mythos or are related to a series of novels, although which one or how is not always immediately obvious. Beginning with a brief autobiographical sketch, this book examines Moorcock’s early career as an editor for the avant-garde literary magazine New Worlds, and then evaluates his early fantasy and the famous world of Jerry Cornelius that arose from the magazine. Then each chapter discusses a major work or series and attempts to do so in chronological order; that is, by the date of the first book in each series. Any confusion might be caused by the fact that Moorcock does not write his books in any seemingly logical order, and so many of his novels and short stories are repackaged and reprinted. In this book you will find biographical detail, because to appreciate Moorcock’s work means understanding the writer. Moorcock’s influence on speculative fiction is evaluated and the Eternal Champion — Elric, Corum, Hawkmoon, Ereköse and von Bek — is assessed. Also examined are Jerry Cornelius, the spoof messiah of swinging London; the alternate worlds of Oswald Bastable; the comic fantasy of The Dancers at the End of Time; Gloriana; the crazed memoirs of Colonel Pyat; the fantastic realism of Mother London and its sequel, King of the City; and finally some of Moorcock’s later works. The purpose of this book is to celebrate the achievements of one of literature’s leading figures. Fans should find the work a useful tool to explore the multiverse even further and those who are new to Moorcock’s work might catch a glimpse of the inspiration behind his mercurial mind. Moorcock successfully creates memorable characters and mystical landscapes using irrepressible wit and exotic language, reminding us all just how fantasy continues to be one of literature’s sharpest tools, as well as the key to developing the imagination. 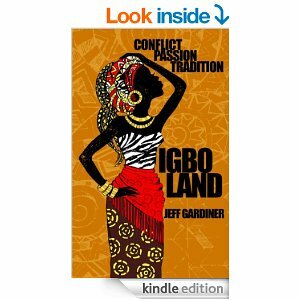 Jeff Gardiner is a British author who was born in Jos, Nigeria, lived for many years in West London but now lives in Sussex. He also has a great passion for rock music and films. I will be featuring Jeff in another blog shortly. 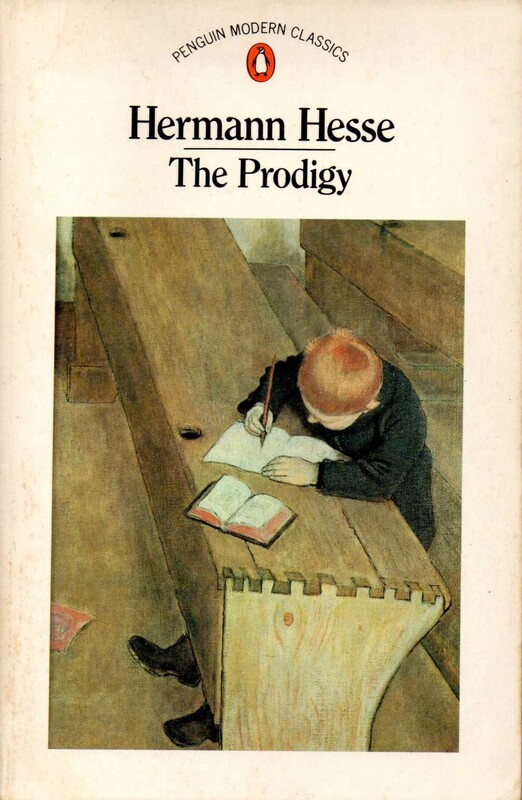 Hermann Hesse’s The Prodigy was published in 1905; its original title was Beneath the Wheel (Untem Rad); it was his second novel, following Peter Camenzind. He was twenty-nine when it was published. The story concerns a gifted boy, Hans Giebenrath who passes an exam for acceptance in a seminary in Maulbronn. Prior to this and during his boarding there his education is exclusively focused on increasing his knowledge. Personal development does not figure in the syllabus. For three years his teachers, the vicar, his father and the headmaster urged him on unceasingly, allowing him not a moment’s rest. He suffered from headaches. At the seminary, Hans begins a close friendship with Hermann Heilner who provides an outlet for Hans, introducing him to poetry. ‘… but now he became aware of the treacherous power of fine-sounding words, alluring imagery and soothing rhymes, and his respect for this newly-opened world had grown, with his admiration of his friend, into a single shared feeling’ (p72). Unfortunately, Heilner is expelled. As a result, Hans’ academic performance deteriorates with the onset of psychological problems. Once at home, Hans is adrift, with no friends from his past since he spent his childhood devoted to scholastic study. He showed much promise yet is considered a failure, and feels this acutely. When he is apprenticed as a blacksmith, it seems possible that he might at last find some fulfilment through labour. Sadly, it is not to be. The ending is not a happy one. At the time of writing this book, which contains reminiscences of Hesse’s own past – he was expelled from that seminary – similar novels and stories in Germany addressed the issue of sensitive pupils crushed by educational tyranny in public lycées and private and military boarding schools. Inevitably, as this is literary fiction and written so long ago, it is ‘tell’ rather than ‘show’: in effect, omniscient narrative, and indeed lyrical in this translation. To counter these depressing images, here’s a quotation from Hesse’s book My Belief (1974): ‘Among the joys mentioned above are those granted us by our daily contact with nature. Our eyes, above all those misused, overstrained eyes of modern man, can be, if only we are willing, an inexhaustible source of pleasure… Gradually and without effort the eye trains itself to transmit many small delights, to contemplate nature … My advice to the person suffering from lack of time and from apathy is this: Seek out each day as many as possible of the small joys, and thriftily save up the larger, more demanding pleasures for holidays and appropriate hours. It is the small joys first of all that are granted us for recreation for daily relief and disburdenment, not the greater ones.’ Essay, ‘On Little Joys’, 1905. I’ve just seen this year’s Public Lending Right statement and it makes interesting reading. Not so much for the payments, which are most welcome, but mainly for the numbers of people who have read my books. I’ve said it before, we write to be read, not to attain riches. This year’s figures are based on the British Library collecting loans data from a changing sample of UK public library authorities. This year’s payments are based on loans data collected from 36 library authorities across the UK during the year July 2014 – June 2015. 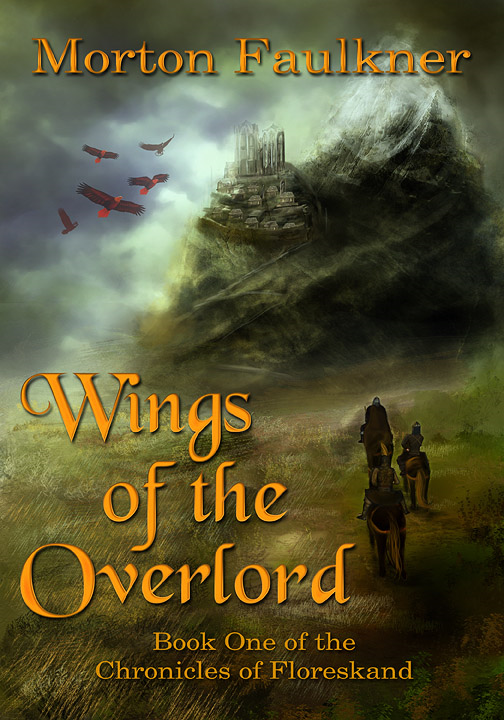 It was good to see that paperback Write a western in 30 Days and fantasy hardback Wings of the Overlord are now in libraries and have been borrowed. This is the first time they have shown up since being published. Of course that is only the tip of the readership iceberg; one must assume that libraries not in this year’s sample will also have loaned these books. That’s gratifying to a writer, to know that my books have been read by in excess of 5,000 readers. My latest western, The Magnificent Mendozas was only registered in 2014; it’s nice to know that my first book, Death at Bethesda Falls is still finding readers. Now, if only libraries would stock my crime and suspense books! Libraries can’t stock The Prague Papers, The Tehran Text, Catacomb or Cataclysm as these are currently only in e-book format. New paperbacks and hardbacks should be registered with PLR before 30 June this year to be included in the 2017 sample: www.plr.uk.com.